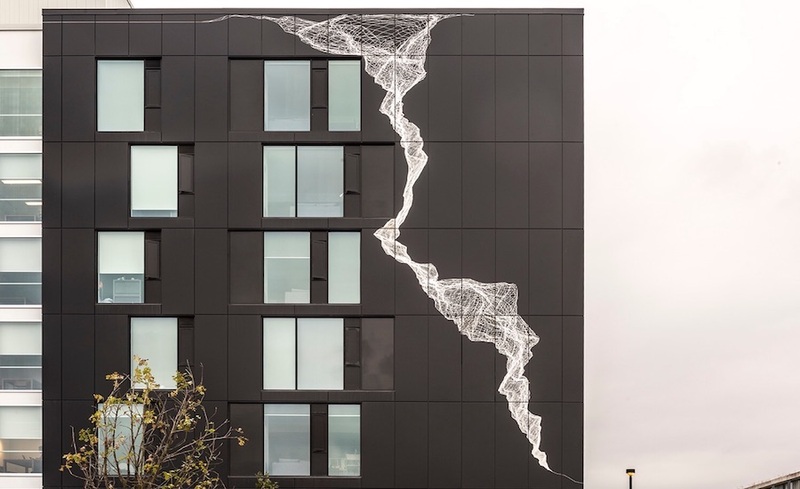 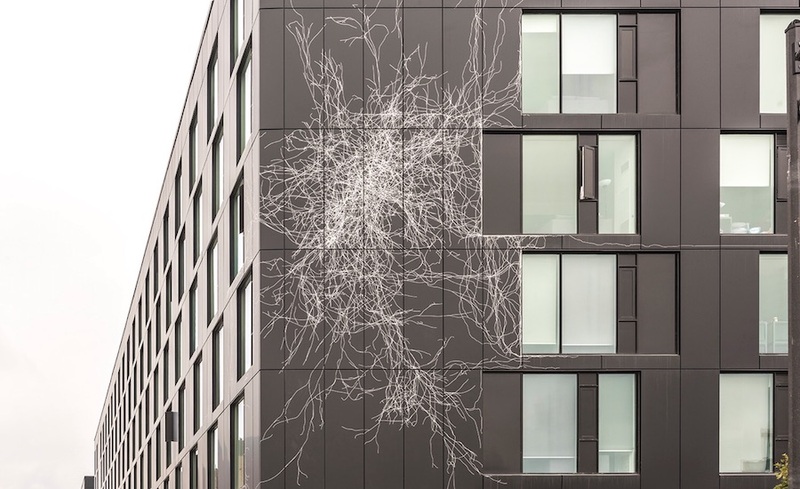 This artwork is a true collaboration between artist, Nicolas Baier and architect, ARK Architects Inc. 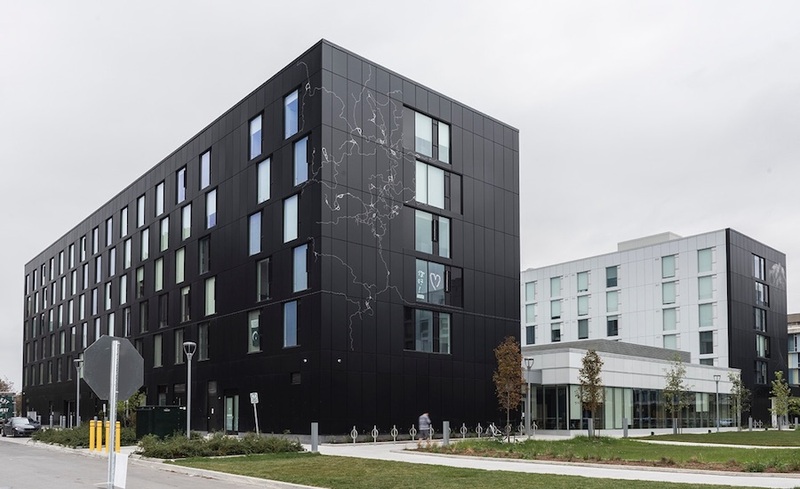 The entirety of the building façade, comprised of black, coated aluminum panels, is the site of the artwork. 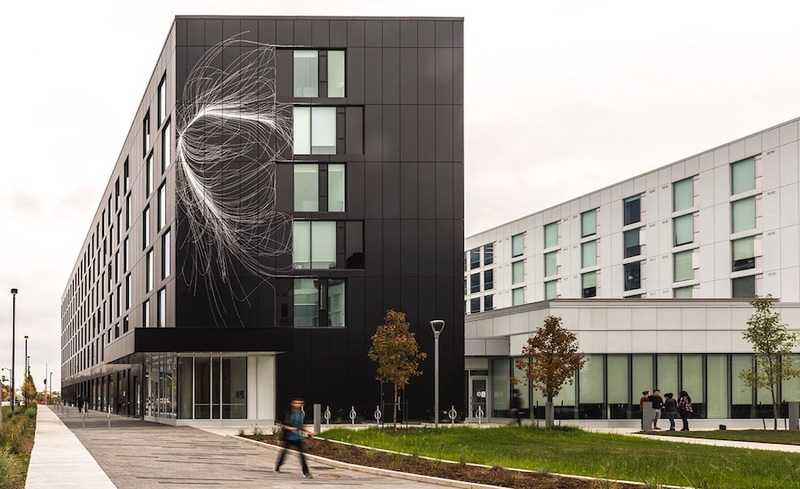 Through a meticulous mapping process, images relative to the artist’s practice, were incised into the panels, revealing the aluminum substrate to create a striking and graphic interpretation of “academic ivy”.